This is a revealing exploration of the origins and meanings of the mammy figure. Representations of Mammy have had a pervasive influence on the American literary and cultural imagination. 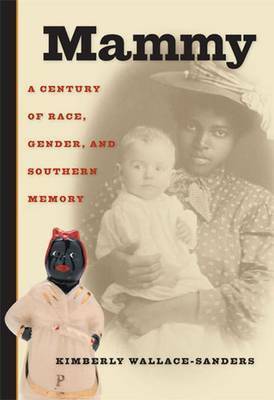 This groundbreaking book traces the mammy figure at various historical moments linked to phases in America's racial consciousness. Its comprehensive, integrated approach features color illustrations of varied depictions of the mammy figure from the nineteenth century to the present. Kimberly Wallace-Sanders is Associate Professor of American and African American Studies at Emory University. She is editor of Skin Deep, Spirit Strong: The Black Female Body in American Culture.